There wasn’t much time for the players to celebrate passage to the Copa del Rey semi-finals. Just twelve hours later and it was straight back to the training ground to turn the page and start thinking about Sunday’s Liga trip (12.00pm CET) to the Benito Villamarín for a game with Betis. 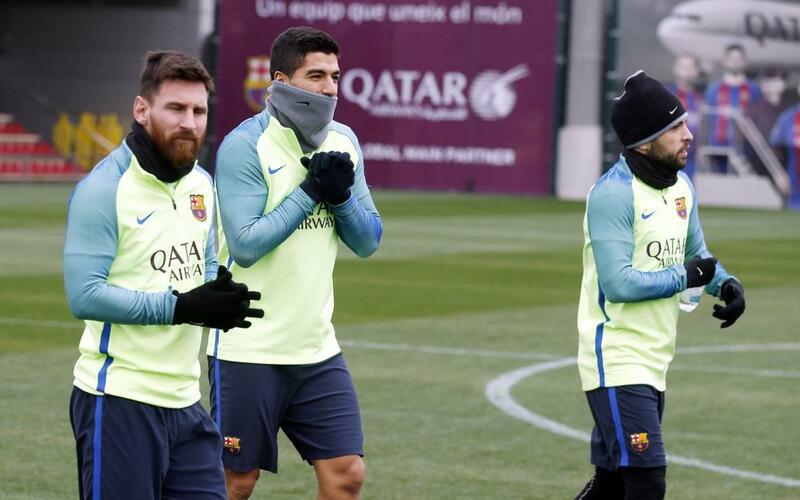 It was damp, chilly and cloudy morning at the Ciutat Esportiva as the players that featured in the 5-2 victory went through the typical post-match warm-down routine, while the rest of the squad concentrated fully on preparations for the weekend date in Seville. Luis Enrique had all of the available first team players with him for the session, and boosted the numbers by calling on Abeledo, Mujica, Carbonell and Marlon of the reserves. Once it was over, the players made straight for the showers and then the nearest TV screen to watch the draw for the semi-finals of the Copa del Rey at 1.00pm CET.